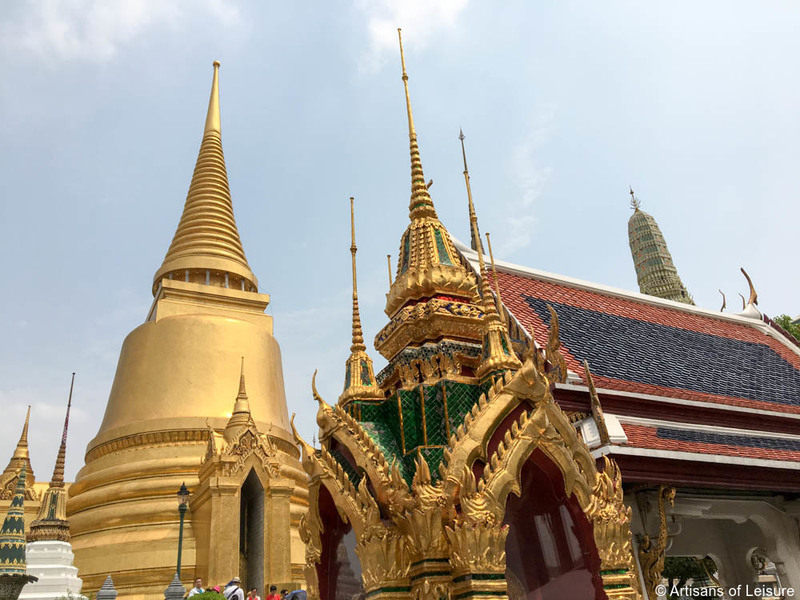 The glittering Wat Phra Kaew (Temple of the Emerald Buddha) on the grounds of the Grand Palace in Bangkok is considered the most important Buddhist temple in Thailand and is a must-see for the stunning architecture, craftsmanship, and layers of historical and spiritual significance. 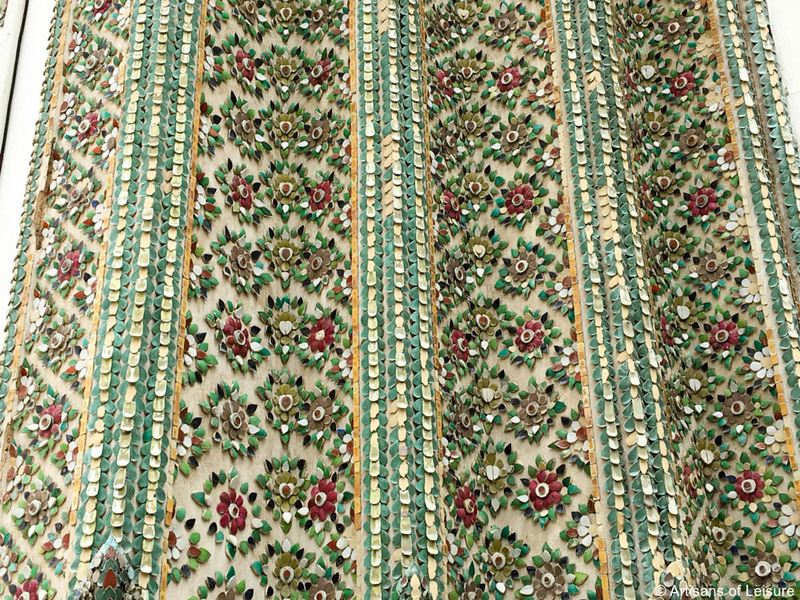 Artisans of Leisure arranges expert-led private tours of the complex, which dates from the founding of the capital in 1782. 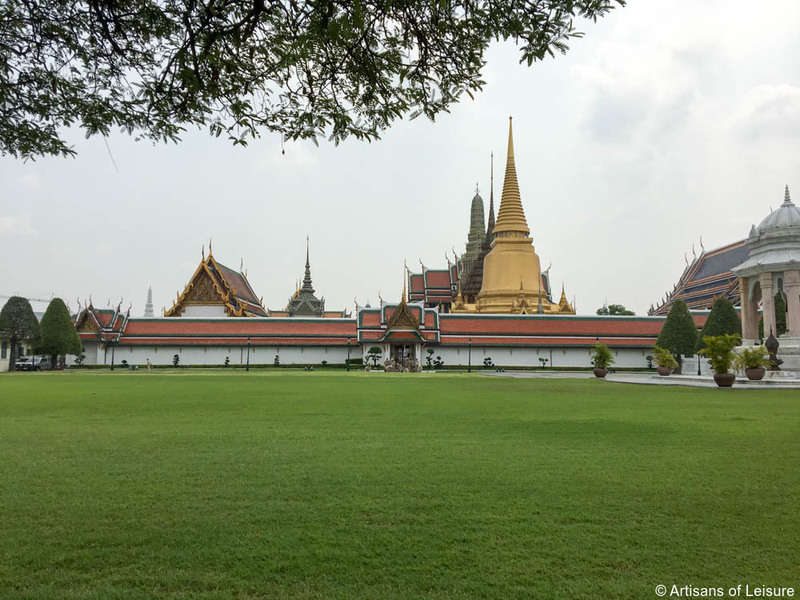 The palace grounds are on the banks of the Chao Phraya River in the Rattanakosin historic district, a short journey from the Mandarin Oriental Bangkok, one of the top luxury hotels in the world and the perfect base for exploring the city. 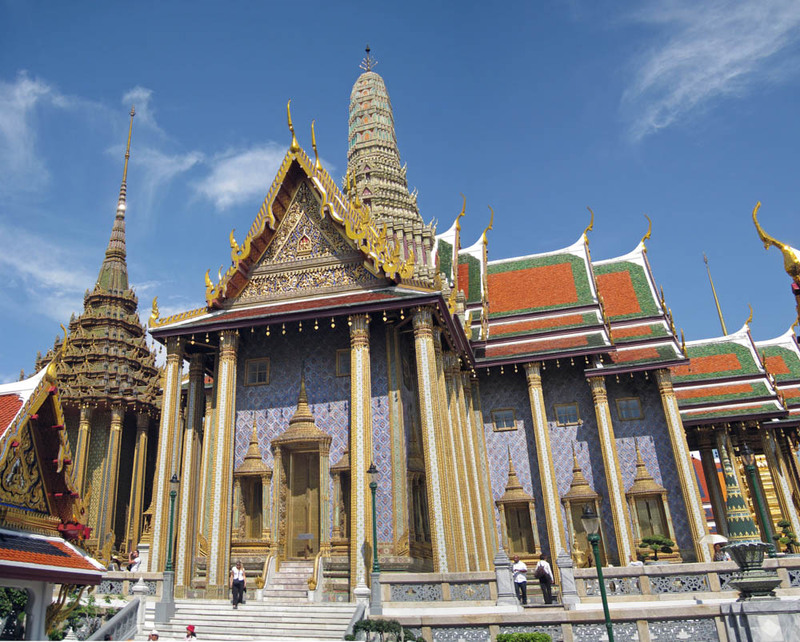 For an evocative start to the day, we can organize a private boat ride in a traditional long-tail boat from the hotel to the Grand Palace. 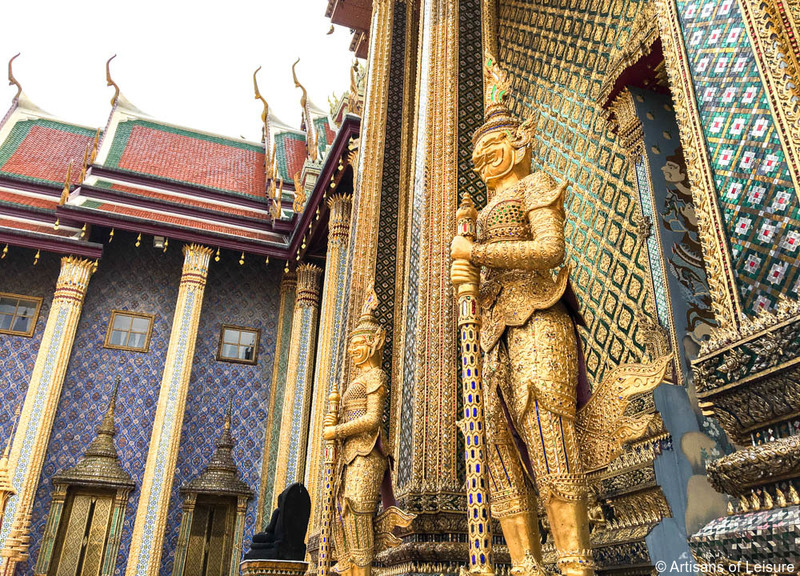 The Grand Palace has more than 50 acres of beautiful grounds and numerous buildings that are a fascinating blend of Thai and European architecture, reflecting the different personal styles of the royal family. 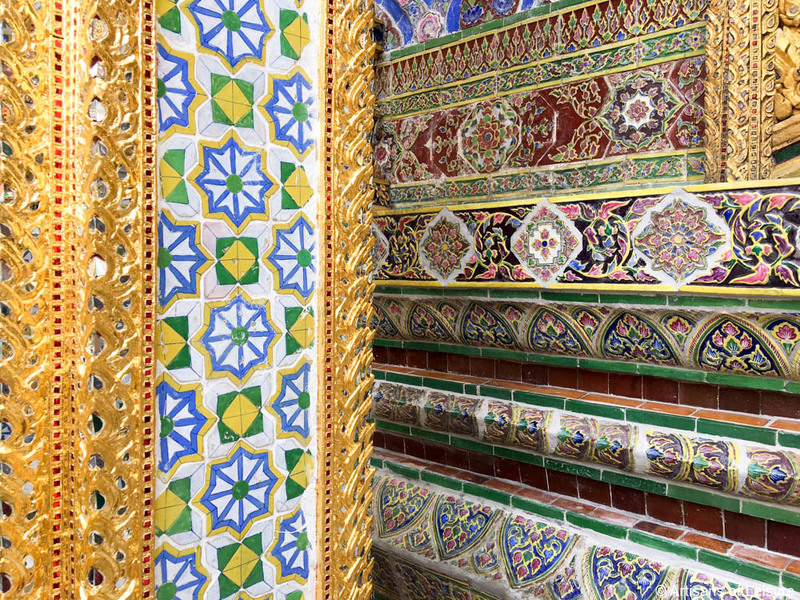 Although the royal family no longer lives in the Grand Palace, it is still used for ceremonial purposes and represents the royal and spiritual heart of Thailand. 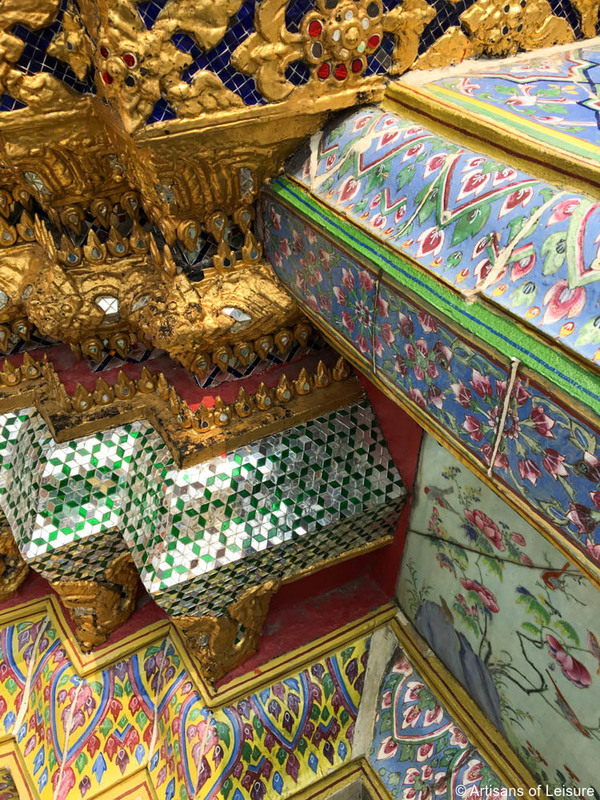 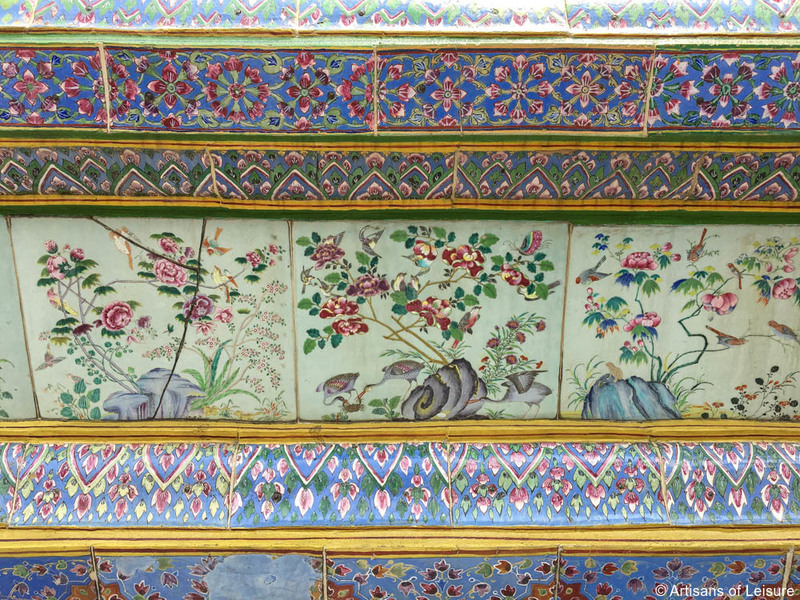 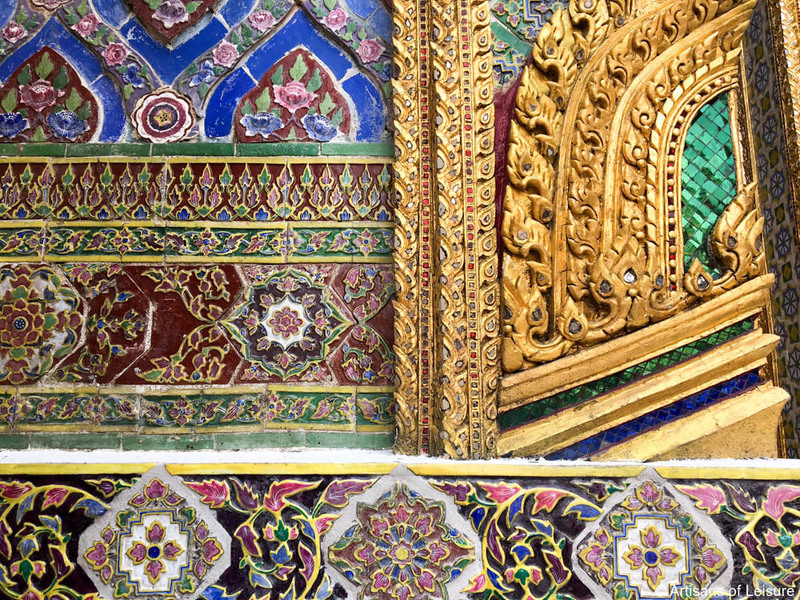 Set within the palace grounds, Wat Phra Kaew is a Buddhist pilgrimage site and architectural landmark renowned for its vibrant colors and intricate details that showcase the best of traditional Thai craftsmanship. 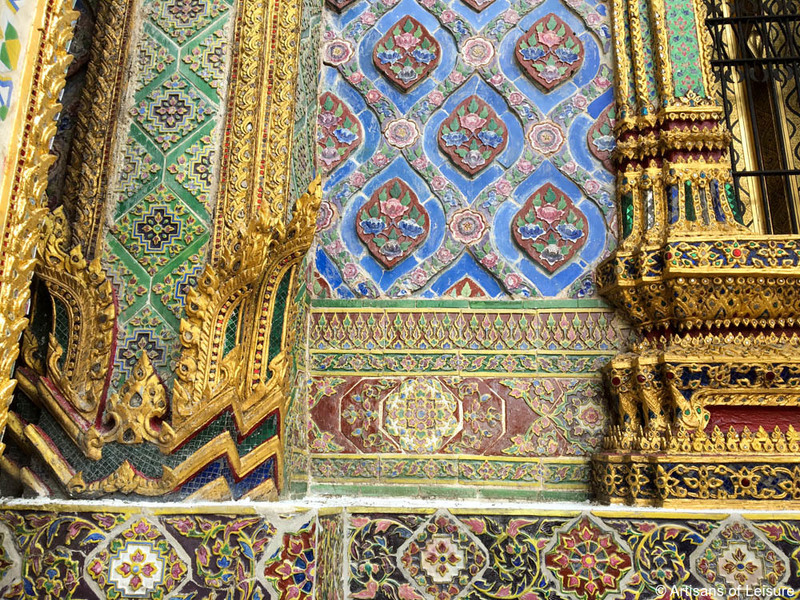 Ornate decorative details include a kaleidoscope of mosaics with rich colors, gilding and mirrored tiles. 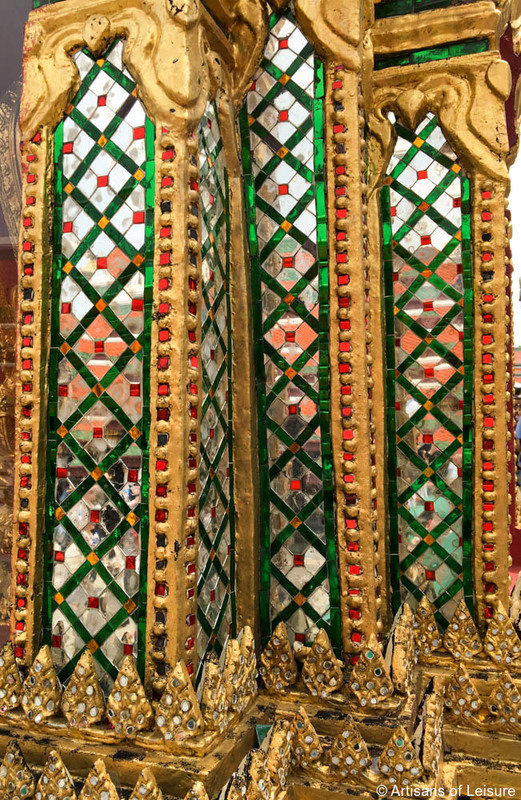 Unlike the larger-than-life guardians outside the chapel, the Emerald Buddha is only 26 inches tall. 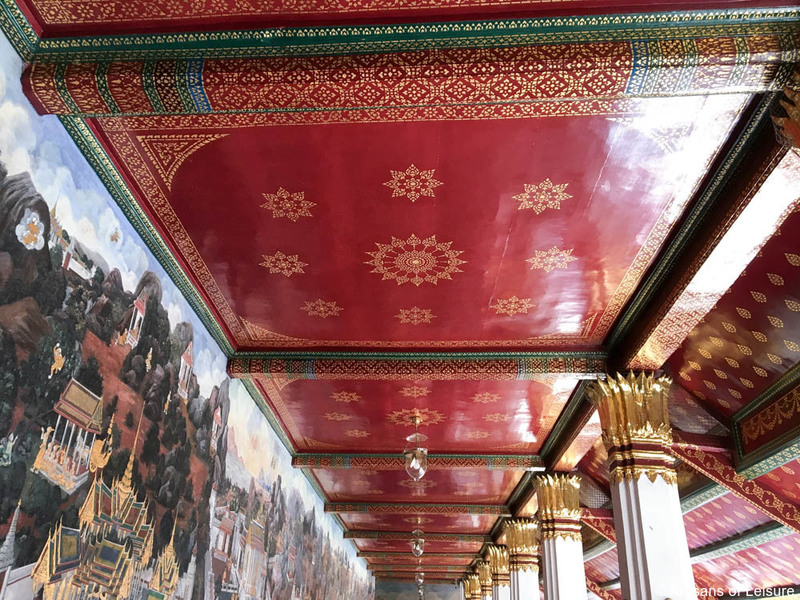 See the extensive, stunning murals around the cloister, which illustrate the Ramakien (Thailand’s interpretation of the Ramayana, the ancient Indian epic poem of good triumphing over evil) in incredibly detailed scenes. 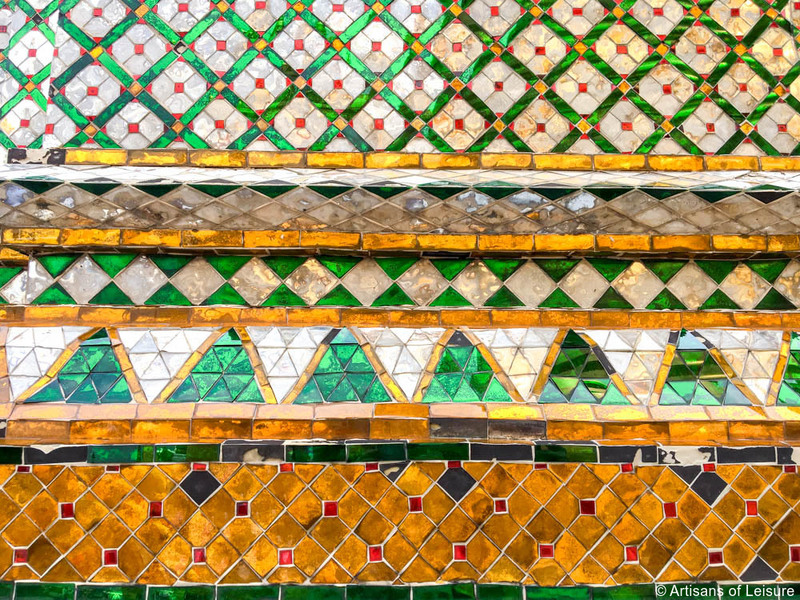 While on the grounds of the Grand Palace, we highly recommend visiting the Queen Sirikit Museum of Textiles. 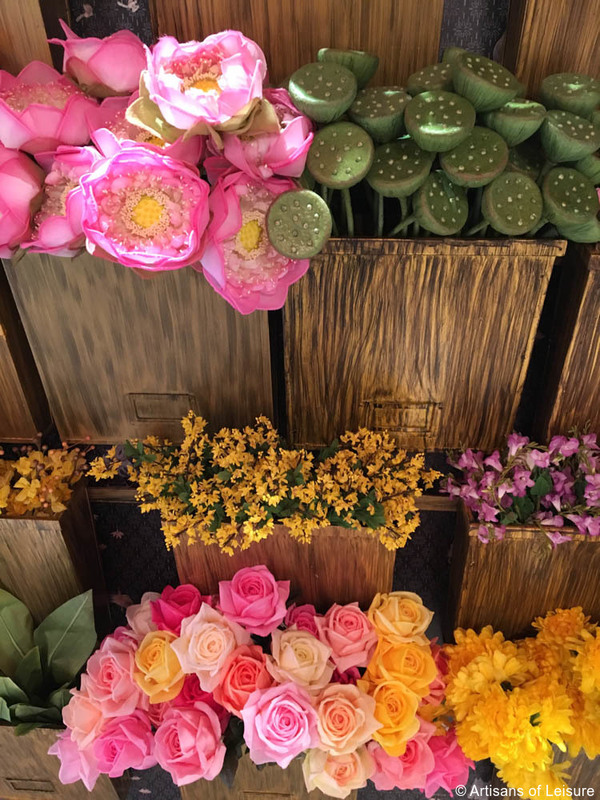 The wonderful gift shop is filled with high quality silk textiles, flowers and other beautiful crafts from around Thailand. 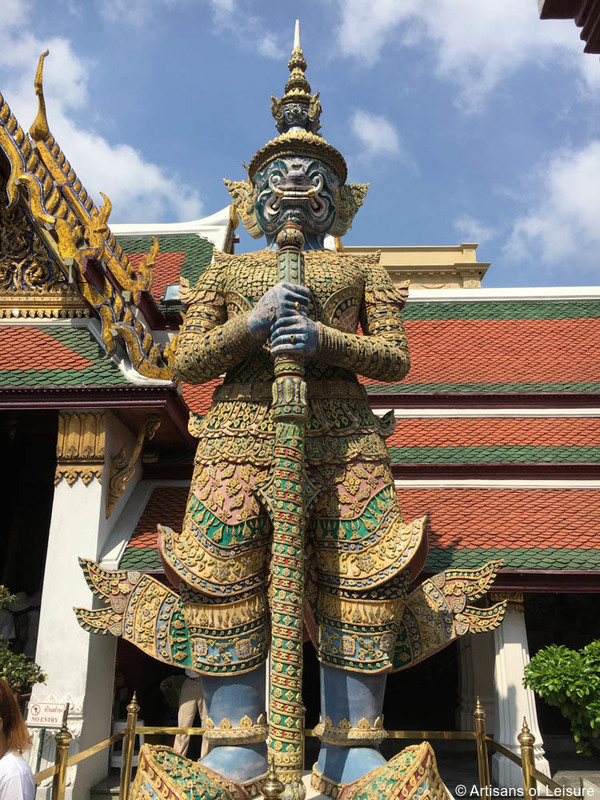 After a morning of immersive cultural touring, we love savoring the local cuisine. 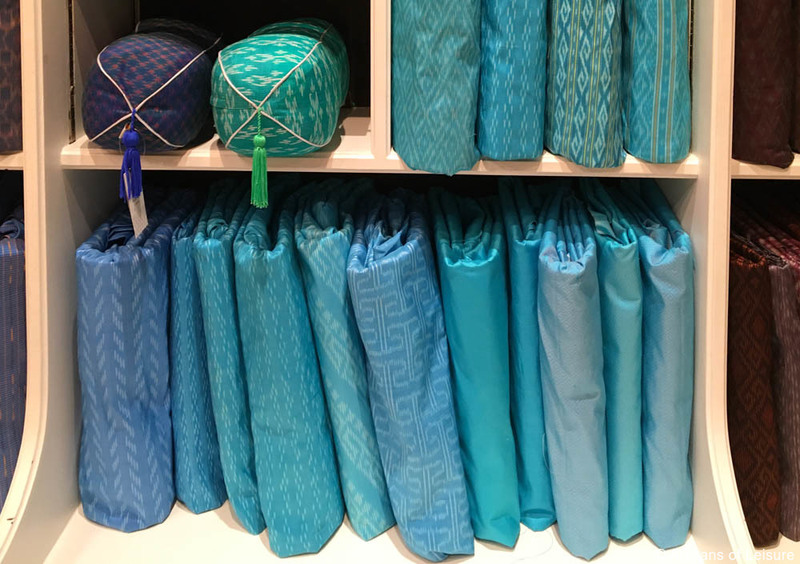 Artisans of Leisure can make reservations at one of our favorite nearby restaurants. 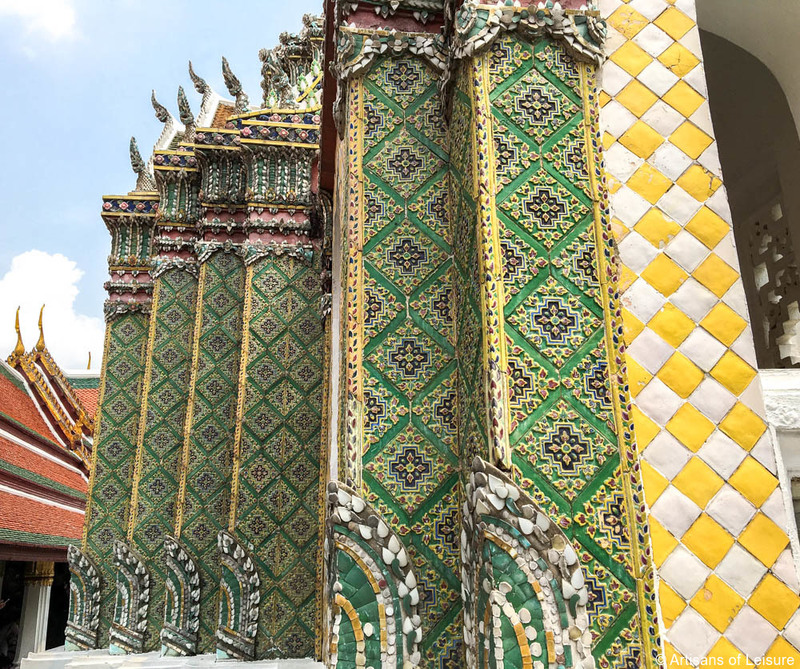 Contact our travel experts who have traveled extensively in Thailand to plan a customized Southeast Asia tour based on your interests.